Philips have fitted several different sizes of rechargeable Lithium-ion (Li-ion) battery to their recent Philishave shaver models, making it difficult to tell which size of replacement Li-ion battery to order to repair your shaver. Li-ion batteries are rated at a nominal voltage of 3.6V or 3.7V and are not compatible with Ni-MH or Ni-Cd batteries used by other Philishave shavers, including some Norelco and Philips branded electric shavers, clippers and trimmers. Below we explain the different battery size options for repairing your Philishave shaver and show you where to buy them. These Li-ion shaver batteries are 14mm in diameter and nominally 42mm long (between 41 and 43mm.) Originally produced for Philips by Sony or Sanyo the replacements are hard to come by, especially with the required solder tags or pins welded into place. Fitted to various Aquatouch, Caretouch and Powertouch shavers, and others. You need to open your shaver and measure the battery dimensions before ordering to double-check. Let us know your shaver’s model number and the battery size it was fitted with in the comments below to help us improve the information available. 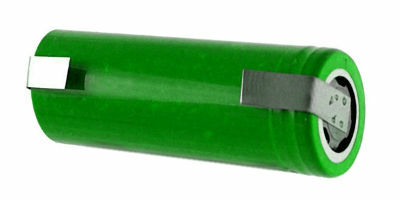 These Li-ion shaver batteries are 14mm in diameter and nominally 49mm long (between 48 and 50mm.) This size is similar to standard AA size batteries, however the Li-ion batteries have no pip or stud on the positive end and are a higher voltage than standard disposable or rechargeable AA batteries. 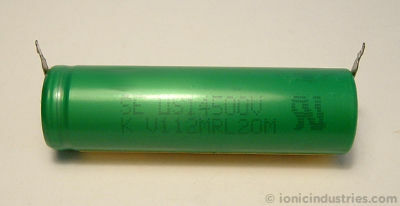 As with the 42mm long batteries the originals were produced for Philips by Sony or Sanyo and the replacements, with the required solder tags or pins welded into place, are slightly easier to find than the 42mm versions. Fitted to various Philishave and Philips Norelco Li-ion shavers, clippers and trimmers. You need to open your shaver and measure the battery dimensions before ordering to double-check. 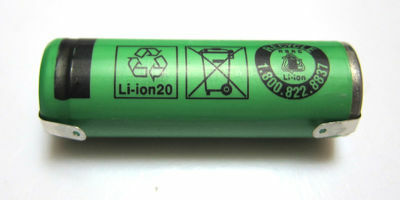 These Li-ion shaver batteries are 18mm in diameter and nominally 49mm long (between 48 and 50mm.) The originals were mainly produced for Philips by Sanyo and the replacements, with the required solder tags or pins welded into place, can be found in the where-to-buy section below. Let us know how you get on with your shaver’s Li-ion battery replacement in the comments section below, and tell us about anything we’ve missed!